Gravitas helps organisations get the information and insights needed to make sound decisions. We do this by asking the right questions, being meticulous in our approach and clearly communicating the outcomes. All of our research is tailored to the needs of the project and the client, drawn from a wide-ranging toolkit. We have many long-standing partnerships, allowing strategic insights into all aspects of our clients’ operation. We work across all data collection methods, including qualitative, complex online surveys, Computer Assisted Telephone Interviewing and Face to Face interviews and observation. For a sense of who we work with, see Industries and Clients.see Industries and Clients. As well as our consulting arm, Gravitas operates a Computer Assisted Telephone Interviewing (CATI) survey centre in central Auckland, staffed by a full-time field manager, supported by supervisors and a multi-cultural team of interviewers. We also employ an extensive team of in-field interviewers for interviews and observation in public spaces. Having this capacity in-house has numerous benefits including efficiency and high quality assurance. As well as interviewing, we provide observation and compliance monitoring services – contact us to discuss your needs. 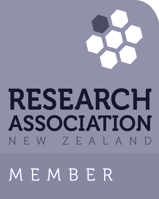 Gravitas is a member of the Research Association of New Zealand, an Approved All-of-Government Consultancy Services Provider (Policy, Research and Development) and our health and safety processes are approved through our accreditation as an ISNetWorld certified supplier. Whether you want the big picture or just the data itself, Gravitas delivers.